Turkey meatloaf is a favorite in our house! 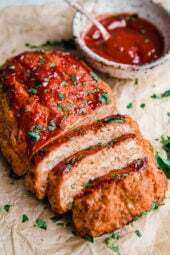 This healthy meatloaf recipe made with lean ground turkey is easy and delicious. 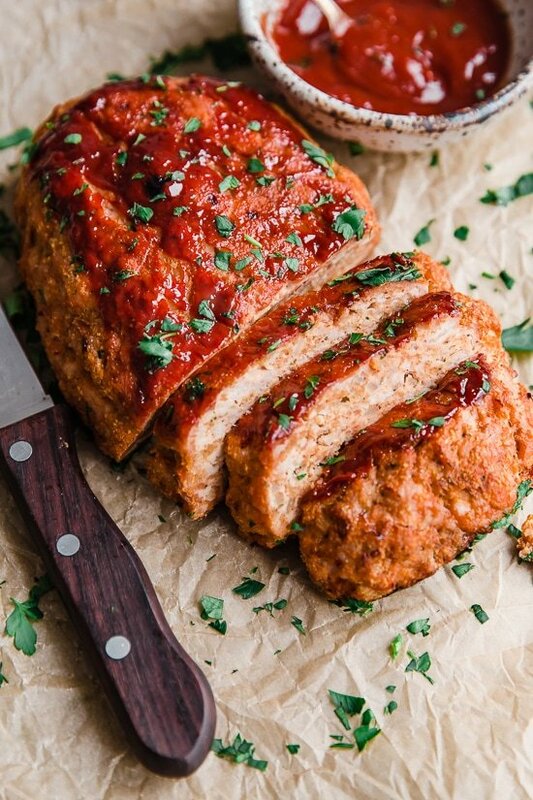 If you like meatloaf as much as I do, you might also enjoy this Cheese Stuffed Turkey Meatloaf or this Bacon Topped BBQ Turkey Meatloaf. Serve it with garlic mashed potatoes or loaded cauliflower mash and a vegetable on the side and dinner is done! Make it faster! If I want to make this quicker, I will make them into four smaller loaves and cook it for about 25 to 30 minutes. You can also make it in cupcake tins like I do in this Cupcake Meatloaf with Mashed Potato Frosting. Add heat! If you want to spice things up you can add some chipotle or sriracha to the ketchup. Make it low-carb or grain-free. Swap the breadcrumbs out for equal amounts of almond meal. Make it with oats. Swap the breadcrumbs out for equal amounts of rolled oats. BBQ Sauce. 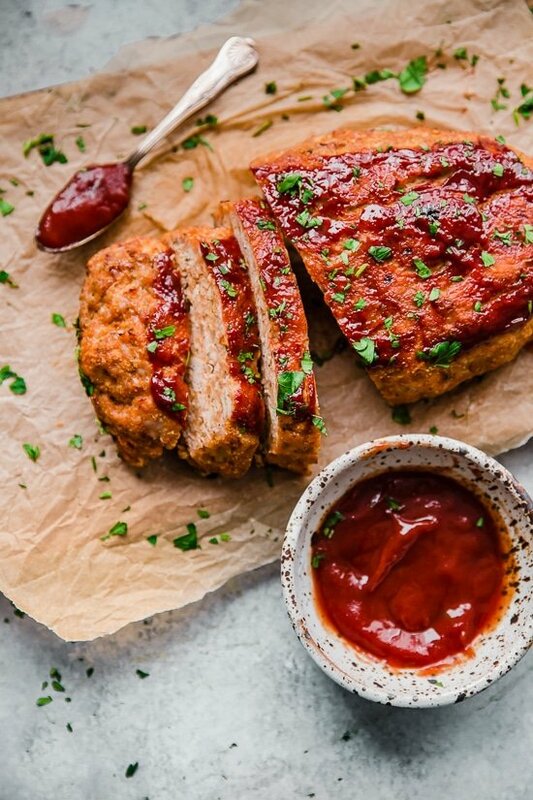 Instead of the ketchup glaze, you can use BBQ sauce to give it a smokey flavor. Make it juicier. I often use 93% lean for a juicier turkey meatloaf. Make it for Meal Prep! It only takes a few more minutes to double the recipe, make two and have the rest for lunch or freeze it for another night. Leftovers. Leftovers are great for sandwiches. Refrigerate 3 to 4 days. In a small bowl combine 2 tbsp of the ketchup with Worcestershire sauce. In a small skillet, heat olive oil and onion on low heat until translucent, 3 to 5 minutes, remove from heat. In a medium bowl combine the turkey, onion, breadcrumbs, egg, 1/4 cup ketchup, salt and marjoram. Place mixture into a loaf pan or shape into a loaf and place on a baking pan. Spoon sauce on top. Bake uncovered for 55-60 minutes, remove from oven and let it sit for 5 minutes before slicing. Made it with beef as that was all I had. Was incredible! The best meatloaf I’ve ever had. Will try turkey next time. Would ground beef still taste as great? I made the turkey version and wanted to try it with ground beef too. The turkey version was amazing! My boyfriend made this for dinner last night. We chose to use bbq sauce as hes not a fan of ketchup. I also suggested that we put in red pepper flakes for a bit of a kick. It was AMAZING! Amazing!!!!!! Definitely making again soon! Delicious (no surprise there)!!!!! So easy too! Will definitely make again very soon. 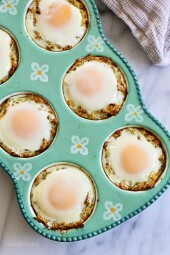 Made it this morning to bake for dinner….can’t wait. Made it according to the recipe, except added a teaspoon of minced garlic. I was skeptical about Turkey, but I loved it. I will definitely make it again. Thank you! AMAZING!! 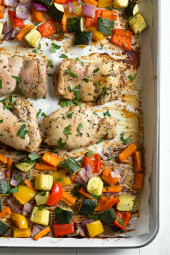 Can’t wait to make this again….did it with roasted carrot sticks…Olive Oil, Salt, Pepper on a baking sheet and bake right along with it!! Made this tonight for dinner and it was great. Will for sure make again. Loved this recipe. I am wondering if it could be cooked in the Instant Pot in the summer months when I am reluctant to turn on my oven. 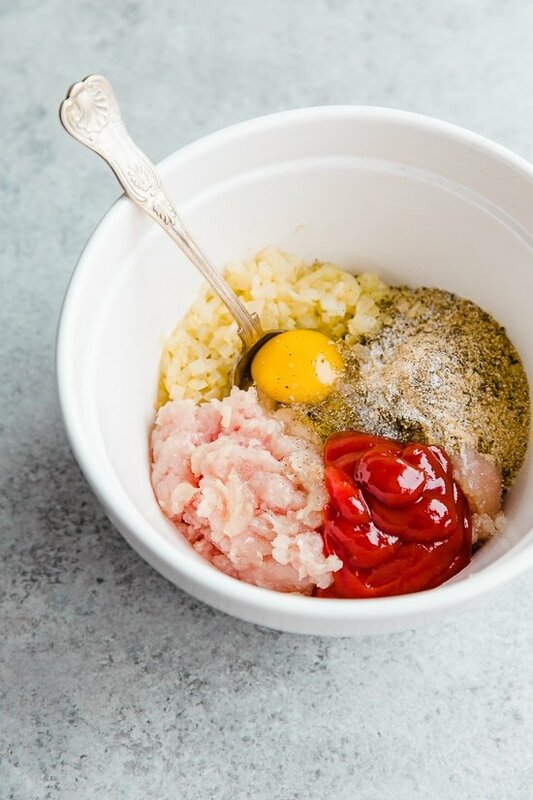 This was awesome – thank you for sharing!I made a double batch, used 1/2 home made breadcrumbs and 1/2 rolled oats with 1/2 ketchup and 1/2 BBQ sauce. Amazing flavors! This was absolutely delicious. My family devoured it. I used 93% lean turkey and I assembled the ingredients the night before (I didn’t precook it), which I think added alot to the flavor. The only thing I did differently was I sauteed a very large clove of minced garlic along with the diced onions. I baked mine in an oval casserole dish and let it rest covered with foil for about 10 minutes after cooking. Will definitely make this again! I’m not a big fan of turkey, so I was a bit hesitant to make this recipe. Oh boy, was I pleasantly surprised. This was delicious. I followed the recipe as written, but used oregano instead of marjoram and added a little garlic powder. My husband loved it too.I doubled the recipe and am so glad I have enough for dinner tomorrow night. I hope there is some left after that for a nice sandwich. I make this all the time and we love it! Good as leftovers for meatloaf sandwich! First time making turkey meatloaf and this was excellent! I was raised on traditional beef, but I’m needing to watch my cholesterol and overall health. The nutrition for this recipe is much healthier than my recipe. I was pleasantly surprised at how moist the 99% lean turkey was and the flavor and texture of entire recipe was great. 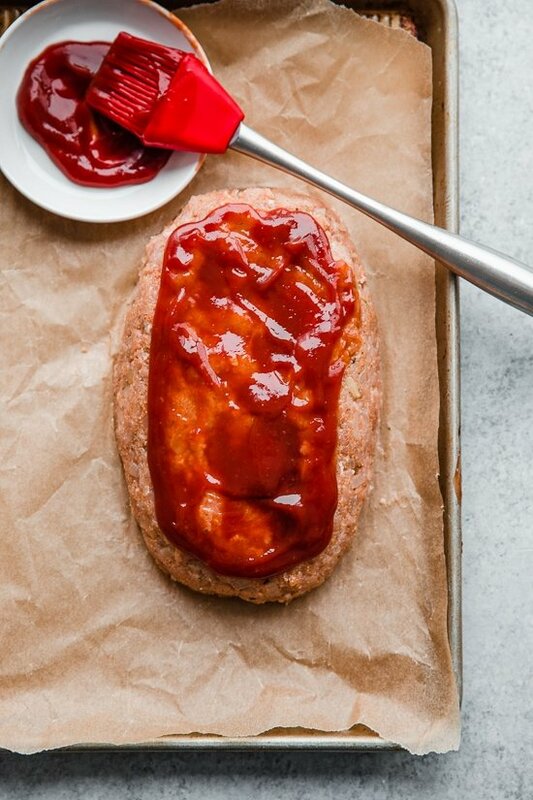 This will be my new go to meatloaf recipe. Thank you! If you freeze it, how long do you cook it and at what temperature? I would freeze this cooked and sliced, then it’s quicker to reheat in the microwave or oven 350F. We make our meatloaf, my MIL’s recipe, with Quick Oats, chopped onion, minced garlic, egg, S&P, Italian seasoning and raisins. We don’t measure either; just eyeball it. After cooking, we put a little ketchup on. I just made this last week . It is very good. Have made it just as recipe is written and and also with oregano instead of marjoram . Served with mashed sweet potatoes and cucumber tomato salad . Really good ! All of skinnytaste recipes are delicious! I use cooked quinoa in place of bread crumbs. Win, win. Actually made this last week for the first time, followed recipe exactly, and it was just delicious. I had to double check WW points values because I couldn’t believe that it was only 3 points for a quarter. Glad to have found it. Yum. I use almond flour instead of bread crumbs when I make mine! Not sure if it will substitute equally. But if you are looking for a gluten free version, try almond flour. 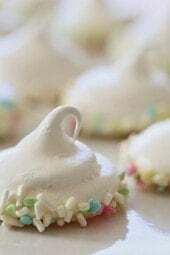 Sooooo delicious and so easy to prepare. I’m not a fan of ground meats but incorporate it because we’re TRYING to eat healthier (dieting) and one can only eat chicken breast for so many days in a row, haha. Turned out amazing!! Hubby even mentioned the meatloaf was good.. I texted him prior to making it saying “turkey meatloaf?” And his response was “…ok lol” with uncertainty. Once it was done & we sat down to eat, we both enjoyed it so much and he repeated after eating that it was really good. It turned out very moist (thank goodness!!). Paired it with your garlic mashed potato recipe and a mix of broccoli, cauliflower and carrots. Thank you for such a simple, yet delicious recipe. We have two children and spending a lot of time in the kitchen is hard. This dish needed minimal prep and cleanup. Will be making again. My husband loves it too! How many freestyle points is this if we use 93%/7% turkey? Today is the second time that my wife and I have made this and it’s absolutely delicious. However, we modified it slightly. Instead of ketchup, we substituted (2) Tbsp of mild salsa to mix with the Worchestershire sauce (and we didn’t use the extra 1/4 cup of ketchup or salsa).The first time we made it, we also added:(1) Tbsp of minced garlic to the onion saute(1/4) cup each of green and red pepper to the turkey mixture(1/4) cup of diced carrots (I forgot them in today’s batch but, aside from some color that the red pepper already provides – along with the taste – I doubt the carrots bring much to the recipe.The pepper really brighten the taste and neither the peppers nor the garlic disguise the distinctive aroma of the marjoram.Try this. I think you and your family will love it. And it makes a terrific sandwich when sliced cold.